When Lion announced its decision to move White Rabbit to Geelong, many bemoaned its loss from Healesville. 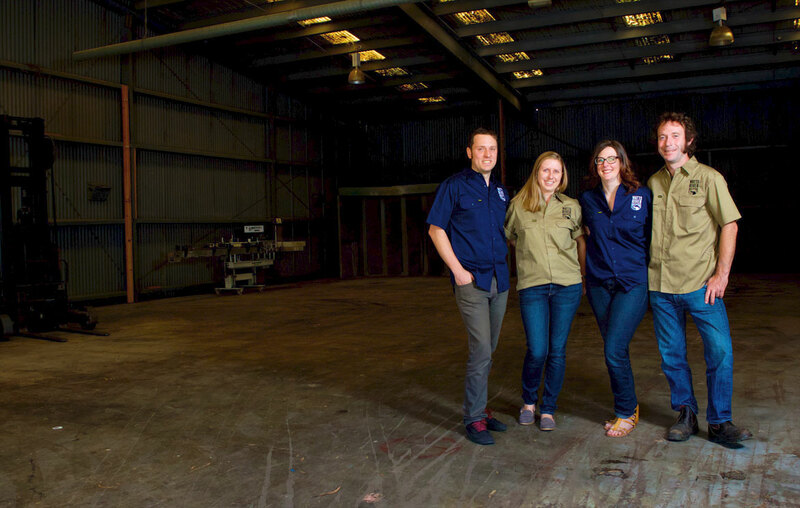 But now two former White Rabbit brewers and their wives have set about bringing a new brewery to the town. 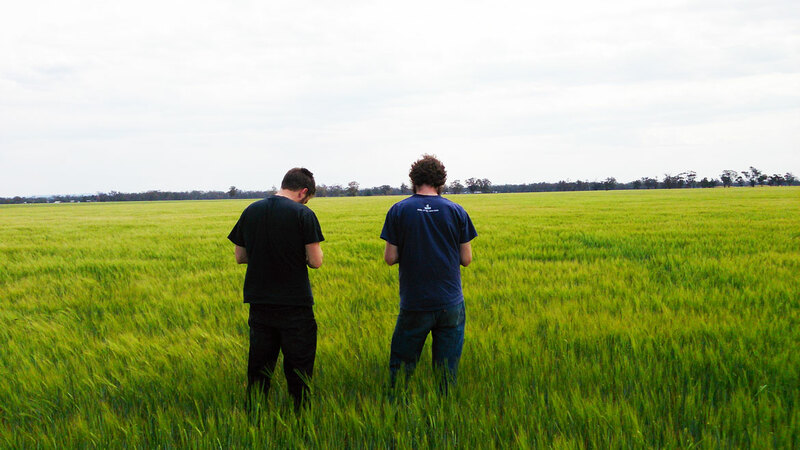 For now, Ben Hamilton and Aaron Malmborg are brewing their Watts River beers with their mate Gus Kelly (Kelly Brothers Cider and Riders Brewing Co) in Moorabbin but they have grand plans for Healesville, including barrels and using their own families' barley. Their partners-in-crime are Hanna Hamilton and Emily Sheppard (Aaron's wife) and, to date, they have two beers available: the Blonde Ale and IPA. Aaron Malmborg, Ben Hamilton, Emily Sheppard and Hanna Hamilton. We are two families of mad keen brewers. Ben and Aaron have over 11 years professional brewing experience combined and first met when Aaron joined White Rabbit in 2011. Until we can get our own brewery set up in Healesville (planning application with council at the moment), we are lucky enough to have our mate Gus allow us to use his setup in Moorabbin to brew our beers. Aaron: Because I really love making things and I really love beer. So, basically, it’s the ultimate combination for me. Ben: I love the processes and technology behind brewing beer and being able to create a great tasting beer that starts with basic raw ingredients. You need to have a broad science knowledge including chemistry, biology and physics. The challenge of knowing how to covert this knowledge into making better beer makes brewing beer a great job. But the biggest reason why I brew beer is that I love drinking good quality beer. It is even more satisfying when we have made it ourselves the way we like it. Aaron (above left): In my first year of Uni, one of the guys in my course was given a home brew kit for his birthday and I remember thinking: “What?! You can make beer yourself!” I went and bought one for myself straight away. Ben (above right): Not really. I did my first brew when I was 18 with a school mate. Since then my motivations for making beer have evolved but it has always been something that I love doing and have taken more and more seriously each year. 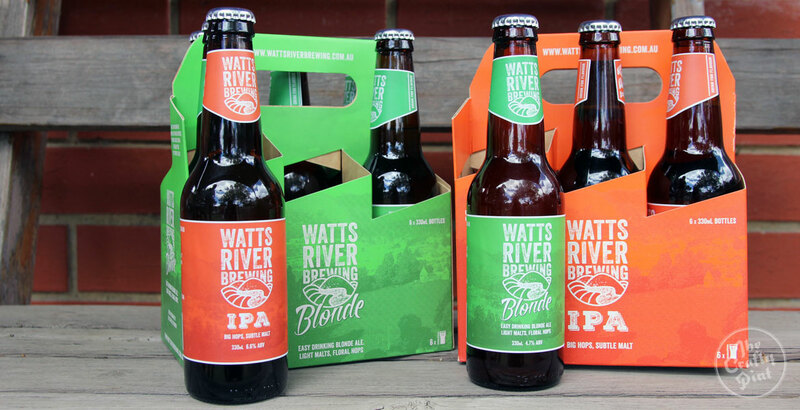 Watts River Blonde - Easy drinking blonde ale. Light malts, floral hops. Watts River IPA - Big hops, subtle malt. On tap at The Alehouse Project, Healesville Hotel, The Cellar Door by The Public Brewery at Eastland. Packaged at Barrique, Healesville. Check out the beer finder on our website for up-to-date listings of where you can find our beer. We call Healesville our home, in the heart of the picturesque Yarra Valley, right next to the Watts River. The Watts River is beautiful waterway and has been a place where people come together and enjoy food, drink and nature for hundreds of years. It is the river that was dammed to create Maroondah Reservoir and is not only one of our main supplies of brewing water but also flows just north of the factory that will soon become our brewery/cellar door. Aaron & Em: Sierra Nevada Hop Hunter, Duvel, Feral Karma Citra and Oude Quetsche Tilquin a l’Ancienne. Ben & Hanna: Which fridge? I have two, a 4 degree and a 9 degree. Oude Geuze Boon, Orval, Duvel, Watts River Blonde, Watts River IPA, Coopers Sparkling, Hoegaarden, Camden Pale, Camden Pils, Camden Hells, Heretic Evil Cousin, St Feuillien Grand Cru, Unibroue La Fin Du Monde (yum), St Bernardus Tripel, Duvel Tripel Hop, Achel Blonde, Boatrocker Tripel, Boatrocker Misfit, Boatrocker Sterk and Donker, Green Flash Rayon Vert (yes I still have a couple of bottles for the culture), Peter Lynch’s Homebrew. And a lot of unidentified bottles that we stuck our Watts River trial labels over the originals (probably beers I didn’t really want to drink). Aaron & Em: Bridge Road Pale Ale, Coopers Best Extra Stout, Duvel, Oude Geuze Boon and Rodenbach cans. Ben & Hanna: Coopers Sparkling, Orval, Oude Geuze Boon, Duvel, Little Creatures Pale Ale (Green Flash Rayon Vert when it was available in Aust), Hoegaarden. The plan is to be creating excellent quality beer to be enjoyed Australia wide and to have a warm, welcoming cellar door in Healesville. We really value the community that beer creates and want both customers and staff to feel welcome at the brewery and share our vision of working together to create high quality, brewer driven beers. A barrel program. We have one full barrel at the moment – it’s a start – from our very first batch that is conditioning with brettanomyces. This program will include beers inspired by traditional wild fermented Lambic beers and other Brett/Wild inoculations. We plan for this to be a long term endeavour, not just a quick couple of weeks in a barrel and calling it ‘barrel aged’. Going from paddock to glass. We plan to source barley directly from the farms where Hanna and Ben grew up, have it malted and put straight into our beer. We already have several tonnes of this year’s barley crop from Ben’s fourth generation family farm to begin with. When our own brewery is up and running we will produce a delicious Brett Pale Ale as our fourth regular product. Best of luck with your endeavours, Watts River folks. You can find more on their website here.